What is the relationship between solar radiation and stratospheric ozone? How and why has stratospheric ozone changed over time? How and why are concentrations of stratospheric ozone expected to change in the future? 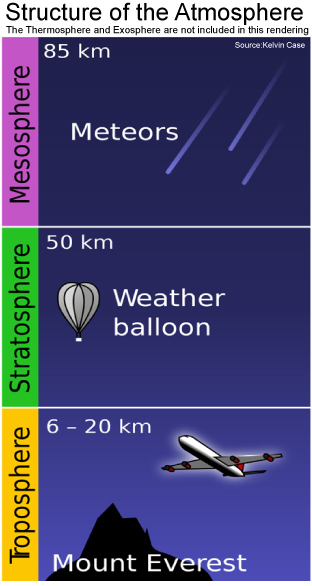 The atmosphere above the Earth is divided into layers (from innermost to outermost: troposphere, stratosphere, mesosphere, thermosphere, and exosphere). The image on the left below shows a profile of the Earth’s atmosphere. We live in the layer of the atmosphere known as the troposphere, which starts at the surface of the Earth and can extend up to 20 kilometers. The next layer is the stratosphere, which is the section found between twenty kilometers and fifty kilometers above the Earth’s surface. Similar to the troposphere, the stratosphere is comprised almost entirely of nitrogen and oxygen. In contrast to the troposphere, it contains relatively high concentrations of ozone. In fact, the peak ozone concentration occurs between 30 and 35 kilometers above the Earth’s surface, and this is known as the “ozone layer.” Approximately 90% of the ozone in the atmosphere is found in the stratosphere. The middle image below illustrates how the concentration of ozone varies through the different layers of the atmosphere. 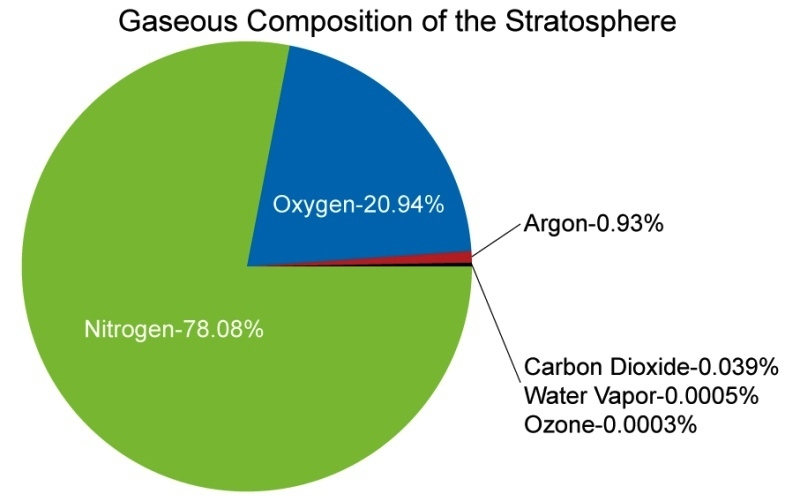 Keep in mind, as you were informed in the Prezi, that even though the concentration of ozone is highest in the stratosphere, ozone still makes up a relatively small percentage of the gases in this layer: Only 0.0003 % of the total amount of gas in the stratosphere is ozone. The image on the right below shows you the percentages of several key gases in the stratosphere. Q1: What layer of the atmosphere is below the stratosphere? Q2: What gas has a higher concentration in the stratosphere than in the troposphere? So why are we talking so much about the stratosphere and the ozone in it? To appreciate this, you need to think back to the previous lab when you learned that the radiant energy from the sun is composed of different types of electromagnetic (EM) radiation (visible, ultraviolet or UV, etc.). These different types of radiation are distinguished by their wavelengths and therefore their energies. With its shorter wavelengths (compared to visible light), UV radiation is energetic enough to cause damage to certain things that absorb it – such as your skin (leading to cancer), your eyes (leading to cataracts), and plant leaves (reducing their size). For example, ultraviolet radiation from sun exposure is the primary cause of skin cancer, and there are at least 2,000,000 new cases of skin cancer in the United States each year. Just as EM radiation is separated into different types based on wavelength and energy, so is UV radiation: There is UV-A (longest wavelengths), UV-B, and UV-C (shortest wavelengths). When the ozone layer is in tact, it absorbs 50% of the UV-A radiation, 90% of the UV-B radiation, and all of the UV-C radiation coming from the sun. (See a graph of this on the left below.) Because of this, when you purchase a sunscreen (aka sunblock), you should look for one that offers UV-A and UV-B protection, so that the sunscreen will hopefully absorb the portions of the UV radiation coming from the sun that the ozone in the stratosphere does not. To help you visualize the important role of the ozone in absorbing (as opposed to reflecting) UV radiation, please take a look at the animation below the picture. Q3: What does the atmosphere do to most of the UV radiation from the Sun? 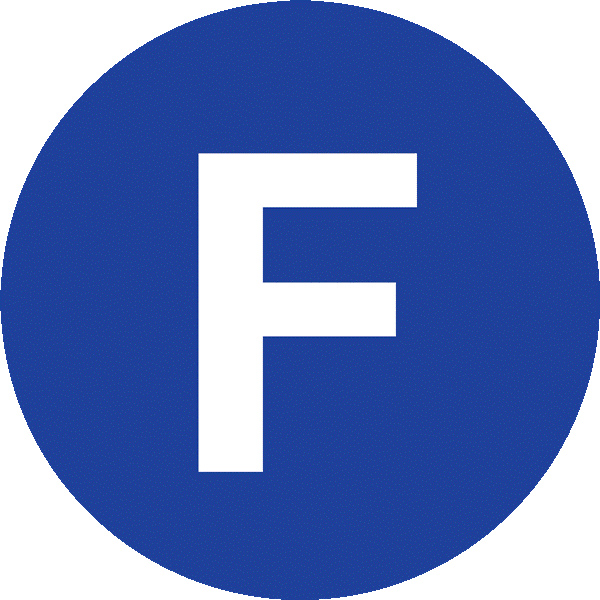 In the 1920’s, a team of researchers at General Motors Research Corporation lead by Thomas Midgley created the first chlorofluorocarbon (or CFC), which they called Freon. This team showed that the compound (made of carbon, hydrogen, chlorine, and fluorine) would be a safe alternative to the refrigerants available at the time. Later, other CFC’s were prepared, and the day found use in a wide variety of other places, including aerosol sprays, foams, and fire extinguishers. 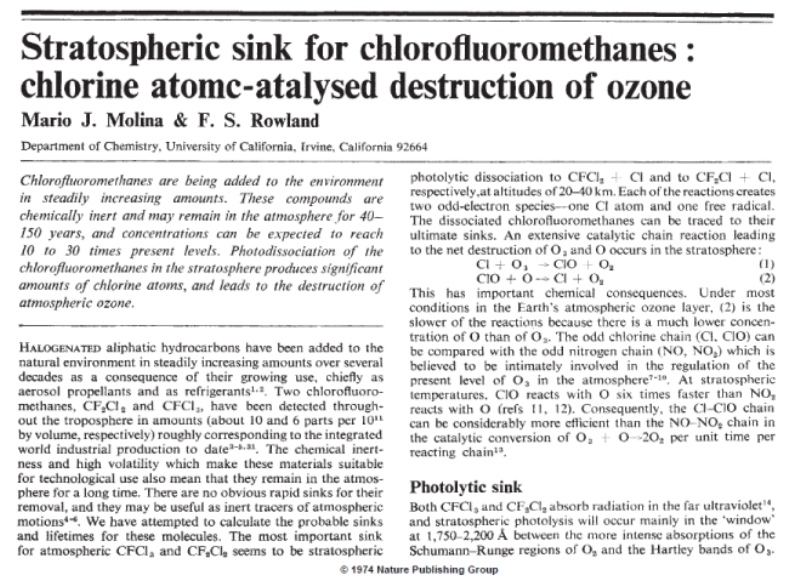 In the 1970’s, atmospheric chemists Mario Molina and Sherwood Rowland showed that reactions taking place when the normally stable CFC’s hit the lower temperatures and higher amounts of UV radiation in the stratosphere could break them down – and that once they were broken down, they could attack and destroy ozone molecules. An image from the first paper they published on this serious environmental issue appears below. The discovery that the CFC’s – even when present in extremely low concentrations in the stratosphere (as low as 1 in every 2,000 gas molecules) – could have this effect on the ozone layer was shocking to Sherwood and Rowland – and to the rest of the world as well. There are three conditions that are needed for CFCs to be able to efficiently destroy ozone molecules and cause major decreases in ozone concentrations in the stratosphere: (1) solar radiation, (2) low temperatures, and (3) a surface on which the ozone-destruction process can occur. All three of those conditions are found in the stratosphere above the Antarctic during austral spring (i.e., September and October), and so the damage to the ozone layer there has been especially intense. 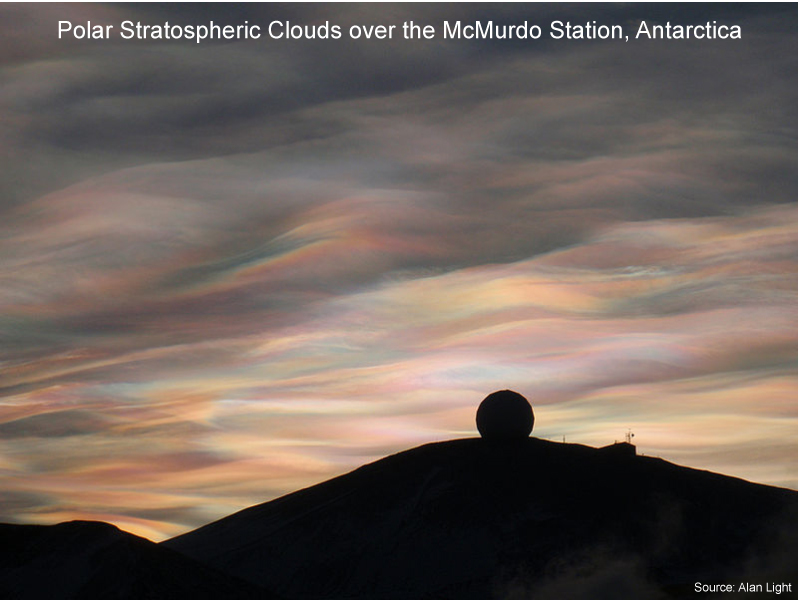 In the spring in the Southern Hemisphere, the stratosphere above the Antarctic is especially ripe for this unfortunate bit of chemistry to happen, as the presence of Polar Stratospheric Clouds (PSCs; see picture below of such clouds over Antarctica) and the increase in duration of sunlight, maximize the conditions needed for ozone-destroying reactions. The video below shows how evidence for this thinning of the ozone layer – or ozone “hole” – was discovered in 1985. Q4: What three conditions are needed for CFCs to cause a “hole” in the ozone layer over Antarctica? Q5: Why was the Montreal Protocol enacted and when was it signed? When people hear the word oxygen, they think of the oxygen we breath that keeps us alive. That is one of two forms of oxygen: “regular” oxygen, which is made up of diatomic (two-atom) molecules (O2). There is a second form of oxygen: ozone, which is made up of triatomic (three-atom oxygen) molecules (O3). Ozone is produced in the stratosphere by ultraviolet (UV) radiation splitting a diatomic oxygen (O2) molecule in half. One of the oxygen atoms created by this splitting combines with another O2 molecule to form O3. As you learned in Section 2, the stratosphere has the highest concentration of ozone of any of the layers of atmosphere. The total amount of ozone that constitutes the atmosphere is measured in Dobson Units (DU), which is a value determine by measuring the concentration of ozone molecules in a column of air that extends from the Earth’s surface to the top of the atmosphere. Areas with values less than 220 Dobson Units are considered to have experienced severe ozone destruction. The image below presents a color-coded scale for Dobson Units that shows the 220-unit cut-off below which the concentration of ozone is recognized as being low enough that it poses a danger to human health. Please note which colors represent high ozone concentrations and which colors represent low ozone concentrations. Open 1997_DobsonUnits in Google™ Earth. This is an animation of monthly ozone concentrations (in Dobson Units) during 1997. 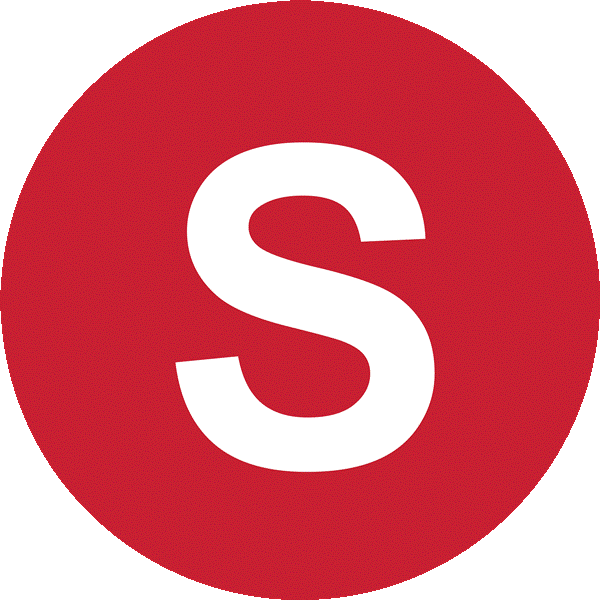 The same scale that appears above will be embedded in the animation. As you explore the animation use that scale to note changes in the ozone concentration over Atlanta, the Arctic Circle, and Antarctica during the months of 1997. It is important to note that the black areas are areas where ozone concentrations were not measured; these are not holes in the ozone layer. Q6: What is the range in concentrations of stratospheric ozone during the course of the year over Atlanta? What does this indicate about the amount of change of ozone over the course of the year? Q7: What is the range in concentrations of stratospheric ozone during the course of the year over the Arctic Circle? What does this indicate about the amount of change of ozone over the course of the year? Q8: What is the range in concentrations of stratospheric ozone during the course of the year over Antarctica? What does this indicate about the amount of change of ozone over the course of the year? Q9: What value for the Dobson Units would constitute a true hole in the ozone layer? Based on this answer, did the data from 1997 show a true hole in the ozone layer over any place on Earth? Below is an animation of ozone concentrations over Antarctica from 1979-2004. The data were collected by instruments on NASA satellites. This animation shows total ozone in the Antarctic region along with the maximum ozone layer depth and size since the earliest measurements (from the Earth Probe instrument on the Total Ozone Mapping Spectrometer or TOMS satellite). This animation will represent concentration of ozone using the same color scheme as in the previous animation. Watch the entire animation and keep note of changes in the sizes of the purple and blue areas and occurrences of red areas. Q10: During what months of the year do the lowest ozone concentrations tend to occur? What season is this for Antarctica? Keep in mind that Antarctica is in the Southern Hemisphere. Q11: Based on the three factors that you identified in Q4, Why do you think those months had the lowest ozone concentrations? Moving about 12o in latitude north from the edge of Antarctica, one runs into Tierra del Fuego, an archipelago located off the tip of the South American mainland. To become familiar with the location of this landmass, click on the Google Earth™ file Tierra_del_Fuego.Take the time to note its relative distance from Antarctica, and think about this in relation to the change in ozone concentrations for Antarctica you explored above. One of the plants native to Tierra del Fuego is Gunnera magellanica, a creeping, flowering species that is fairly hardy. In 1997 a group of researchers lead by Rousseaux studied samples of this plant from across the archipelago to determine what affects on living organisms might have been caused by a migration of the ozone ‘hole’ (hereafter referred to as the severe destruction zone or SDZ) over that part of the Earth. 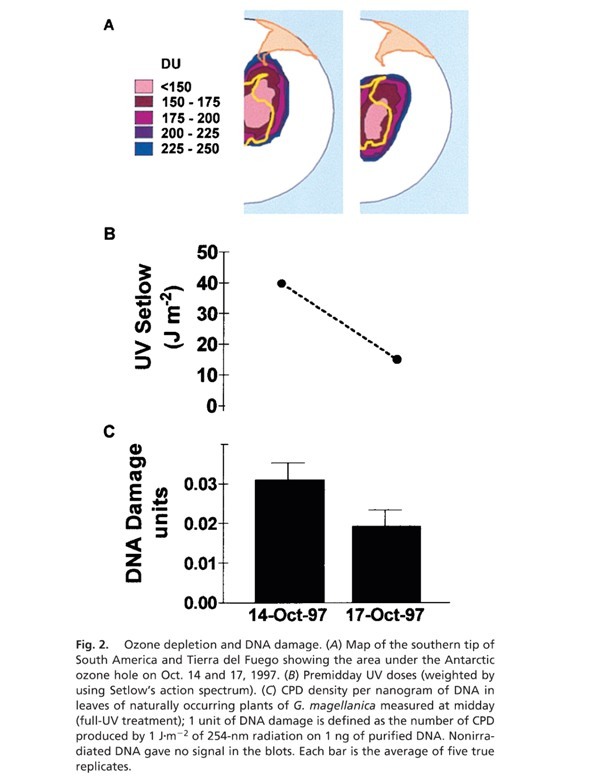 This research particularly examined the damage to the DNA of Gunnera magellanica caused by the increase in UV radiation produced by the migration of the SDZ; click on the image below to see the opening page of the paper written by Rousseaux et al. about their work. To consider for yourself the relationship between changes in the ozone concentration above Tierra del Fuego and the health of organisms living on it that Rousseaux and his colleagues were studying, first look at the animation below. It shows the changing ozone levels across the lower part of the southern hemisphere from 11 October 1997 to 16 October 1997, using data collected by instruments on NASA satellites. The ozone concentrations are represented using the same color scheme you have seen in the previous animations (the image below is available to remind you of that color scheme). As you look at the animation, try to note the precise timing when the levels of ozone over Tierra del Fuego were at their lowest. Q12: Based on what you observed in the animation, on what day(s) did the severe destruction zone migrate over Tierra del Fuego? Watch the animation again and notice how the ozone “hole” rotates clockwise. As shown in the image below, the stratospheric winds over the Antarctic Circle are the product of a pressure gradient from the lower latiudes to the South Pole and the rotating Earth causes the winds to the get deflected perpendicularly to the left; therefore, they are always blowing from west to east. 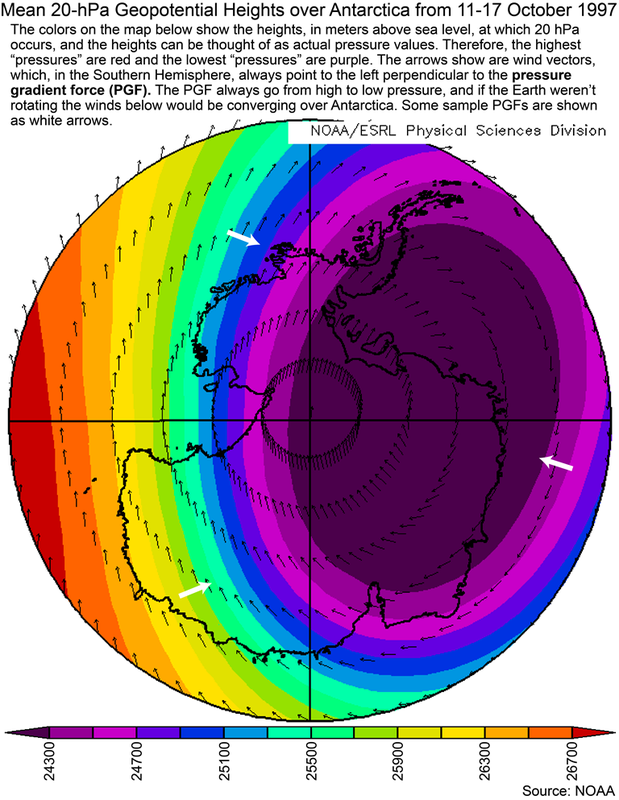 The result is the Antarctic Vortex, and the ozone “hole” tends to be confined to the vortex. Next, you will look at some of the data from the paper in which Rousseaux et al. discuss their findings. 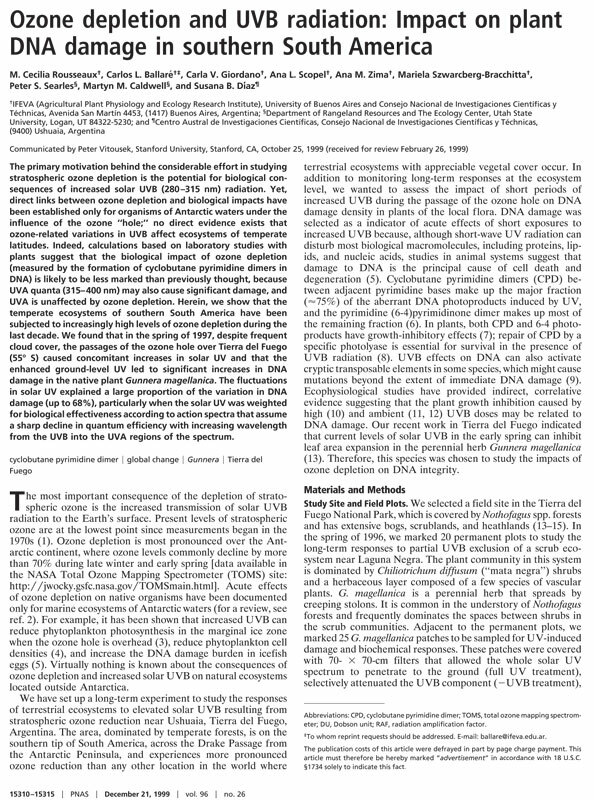 The figure below presents one section from that paper which contains, in order from top to bottom, images of the ozone concentration over Tierra del Fuego for October 14th and October 17th, 1997 (unfortunately, using a different color scheme than you seen in the previous animations); a graph showing the change in UV radiation reaching the surface of the Earth at Tierra del Fuego on those dates; and a graph on DNA damage measured in the Gunnera magellanica samples on those dates. Please answer the questions below the image concerning the relationships between these different things. Q13: How did the change in ozone concentrations affect the amount of UV radiation reaching the Earth’s surface? Q14: What affect did the change in UV radiation have on the vegetation? Click AntarcticaOzone_Data to open the file in Microsoft® Excel. This file contains yearly values for spring ozone concentration (in Dobson Units) over Antarctica and the size of the severe-destruction zones, which consists of values less than 220 Dobson Units, over Antarctica during spring. Its size is measured in millions of square kilometers. All data are derived from satellite measurements, and were obtained from NASA’s Ozone Hole Watch. Select cells in rows 1 through 41 of columns A, B, and C.
Under the 2-D line options, click on first choice. The resulting graph shows yearly values of the minimum ozone concentration (upper in blue) and the area of the severe-destruction zone (or Hole Area, lower in red). In order to better see the red line (Hole Area), right-click on that line, select Format Data Series, and then change the axis to the Secondary Axis. The graph will now have the units for Ozone Concentration on the left vertical axis and will have the unit for Hole Area on the right vertical axis. Reformatting the graph as you just did should allow you to better see the relationship between the two. Feel free to play around with the graph to make it larger, wider, etc. Q16: How would you describe the trends in the data over time for the spring ozone concentration over Antarctica from 1979 to 1989? i.e. What do you see happening to the ozone concentration over Antarctica in the time since the Montreal Protocol went into force? Q17: How would you describe the trends in the data over time for the Hole Area over Antarctica from 1979 to 1989? i.e. What do you see happening to the Hole Area over Antarctica in the time since the Montreal Protocol went into force? Q18: Based on your answers to Q16 and Q17, what is the relationship between ozone concentration and Hole Area? Q19: You should notice in the graph that between 1987 and 1988 and then again between 2001 and 2002, there were very dramatic decreases in the Hole Area (or severe destruction zone). If the amount of UV radiation and the amount of ozone–destroying chemicals did not change significantly over those two periods, why did the Hole Area change so dramatically? 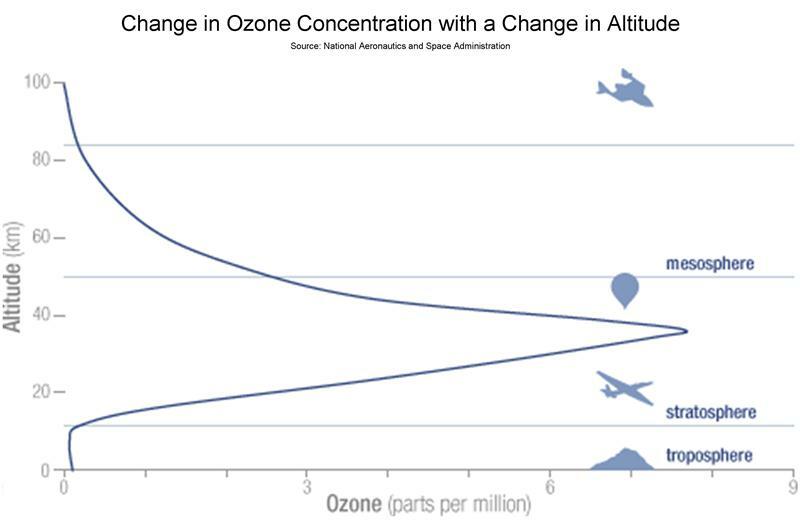 Q20: Based on your analysis of the graph, what effect has the Montreal Protocol had on the stratospheric ozone layer? 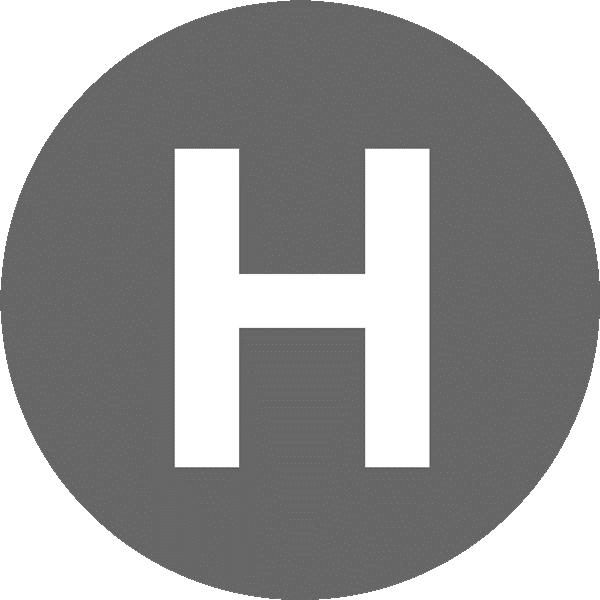 Q21: You should have noticed that the Hole Area leveled off but did not decrease significantly since the Montreal Protocol was put in place; why has it not decreased significantly yet? Below is a NASA animation which shows the ozone concentrations over the western hemisphere from 1979 to 2065. The concentration of ozone will be represented using the same Dobson Unit scale that you have seen before. (Just in case you have forgotten the scale is shown below.) The visualizations presents two scenarios: (1) “Projected,” which assumes the current rate of CFC emissions in the atmosphere; and (2) “World Avoided,” where the rate of CFC emissions is assumed to be that of the period before regulation. Therefore, “World Avoided” has much higher rates of CFC emissions than does “Projected” from 1989 to 2065. Watch the entire animation and pay particular attention to areas of low ozone concentration just to the east of the southeastern United States (i.e. over the far western North Atlantic Ocean). Q22: For the entire visible area of the animation, why do the two scenarios have similar results in the 1970s and 1980s? 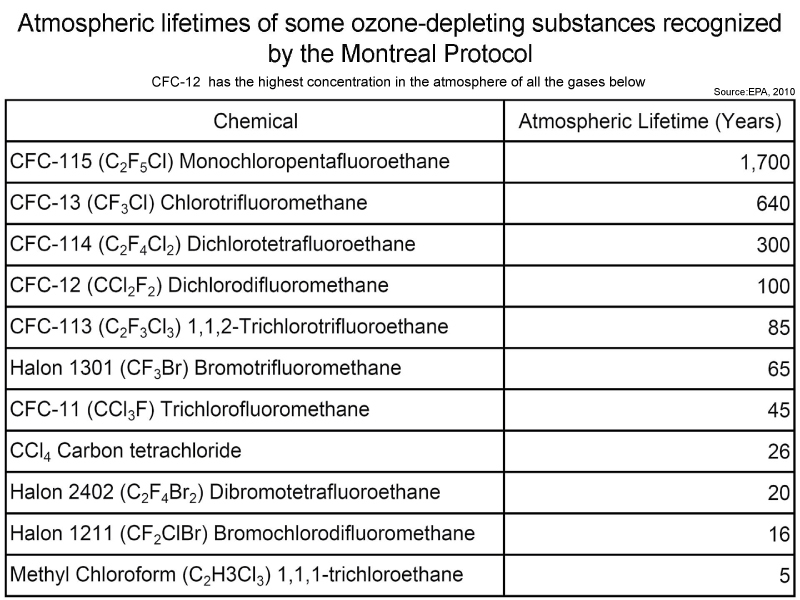 Q23: What effect should the Montreal Protocol have on the stratospheric ozone layer in future decades? Q24: If the phasing out and elimination of ozone-destroying chemicals had not occurred, then what do you expect would happen to the rate of UV-caused health problems among people between now and 2060? How and why has the stratospheric ozone layer changed over time?